Benfica yesterday won the Primeira Liga for the 34th time in their history, in so doing securing back-to-back titles for the first time since 1982/83 and 1983/84. Here, in no particular order, are ten reasons that help explain why the Eagles finished top of the pile. Love him or hate him, one cannot fail to acknowledge Jorge Jesus’s remarkable capacity to build well-organised, winning teams, despite having to contend with a perpetually revolving door when it comes to his playing squad. Never more was that the case than this campaign. 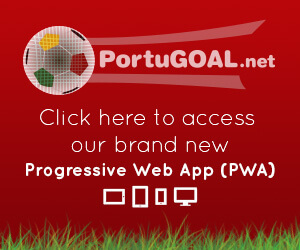 Jesus lost six key members of last year’s treble-winning team – Oblak, Siqueira, Garay, Markovic, Rodrigo and Enzo Pérez – while in contrast rivals FC Porto spent heavily to bolster their squad. No matter, Jesus set about moulding another cohesive unit. Given that he was unable to call on a number of outrageously talented performers as in years past, guiding Benfica to the 2014/15 title is Jorge Jesus’s finest achievement. Benfica crashed and burned in the Champions League finishing rock bottom of their group meaning that by early December the Eagles were done in Europe. The lack of a hectic schedule was an obvious advantage to keep the side fresh over the final furlong of the campaign – at precisely the same time as rivals FC Porto were exhausting themselves doing battle with Bayern Munich. Benfica have unrivalled numbers when it comes to supporters in Portugal. 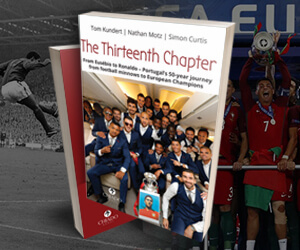 Create a successful team and 60,000 fans will flock to the Estádio da Luz every fortnight. Moreover, it is not just in Lisbon where the Eagles enjoyed huge backing. With the exception of the Estádio do Dragão (Porto), the Alvalade (Sporting) and the Afonso Henriques (Vitória Guimarães), when Benfica are on a roll, any other ground they travel to is transformed into a mini Estádio da Luz as their fans outnumber the “home” team’s supporters. As the old saying goes “goals win matches, defences win championships”. Jorge Jesus’s teams are well-known for their vibrant attacking football, and there were plenty of examples of this in 2014/15 with the Lisbon outfit annihilating many an opponent (82 goals in 33 games), especially when playing at home. But more than in any other season under Jesus, the back four looked almost impregnable, conceding a miserly 15 goals in the Liga. Ever reliable captain Luisão and the vastly improved Jardel formed a rock solid defensive core, and behind them the excellent Júlio César highlighted the importance of having a dependable goalkeeper transmitting confidence to the back four. The insatiably hard-working Lima and the extravagantly skilled Jonas complemented each other beautifully. Signing the latter on a free transfer after he was released by Valencia proved a masterstroke by Benfica. Neither Lima nor Jonas can be considered world-class strikers, but both are at that level just a notch below the game’s finest forwards. Were they of any nationality other than Brazilian, they both would have racked up a number of international caps. And 35 goals between them meant the departure of Oscar Cardozo and Rodrigo was hardly felt. Golden oldies Luisão and Maxi Pereira enjoyed another superb season for the Eagles. But the acquisition of Júlio César (35 years old), Eliseu (31), Jonas (31) as well as the key role played by Lima (32) lent the Eagles a wealth of experience, which ultimately made the difference when set against the much younger squads of FC Porto and Sporting. Out of 16 Liga games in their home stadium Benfica won 14, drew two and lost zero, scoring 44 goals in the process and conceding just four. Even in a league with an increasing gulf in quality between the top sides and the rest it is an astonishing record. More and more, opposition sides appear to walk out onto the Estádio da Luz pitch ahead of kick-off already a beaten team. Benfica’s record this season was not flawless, with defeats at Braga, Rio Ave and Paços de Ferreira. 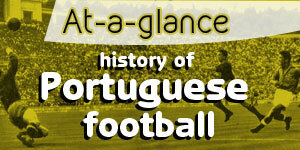 Nevertheless, those three trips are among the toughest in the Portuguese calendar. The real difference between the Eagles and their main rivals was the fact that Porto dropped points in fixtures when it was unpardonable to do so (e.g. Boavista at home) and at times when it was unforgivable (e.g. failing to take advantage of Benfica’s defeat at Rio Ave by only drawing at Nacional, yesterday’s draw at Belenenses). Add to this, a single point and zero goals in 180 minutes of head-to-head combat against Benfica and the Dragons had definitively compromised their title hopes. It may seem strange talking about stability at a club whose modus operandi involves a constant whirl of player turnaround and which was shorn of nine members of the previous season’s squad. But the backroom structure of President Luís Filipe Vieira and Football Director Rui Costa, and the complete faith they afford coach Jorge Jesus, brings a sense of continuity that has been reflected in strong performances on the pitch, no matter who the actors. This was undoubtedly the Benfica team with the fewest star players in Jorge Jesus’s six-year reign. It was no surprise to hear so many of the squad members talk about “togetherness”, “a united group” and “a family” in the immediate aftermath of winning the title. The fact everybody contributed is also reflected in how different individual players took it in turns to shine. Talisca at the start of the season, Jonas from the turn of the year onwards, Samaris in the final months come to mind, but every player had their moments, with none truly standing out above all the rest. Benfica 2014/15 were a team in the true sense of the word. It was more like the team lost 10 players. In addition to the 6 Tom highlighted, there was Gomes and Cardozo who were sold, Fajsa and Sulejmani were injured almost all season. To pretty much lose 10 players and follow up by winning our Liga and potential have a League Cup is just unheard of. JJ is clearly a top manager and I just hope we can keep him on for more seasons to come. I will have to comment on that stupid violence. Earlier in the day there was that video that went viral of a man with his small child and what looked to be a grandfather surrounded by 6 cops in Guimaraes. Within seconds the cops started attacking the man. He was able to push the little kid away from the cops before the brutally beat him on the ground with their weapons while the kid watched in horror. Looked like the senior tried to come close before the cop punched him in the face a few times. There was always going to be tension with a large sports crowd and the police but with that level of aggression the police were bringing was unacceptable. It's not wonder they lost control. You can see at the end of the event as fans are trying to walk away and police would hit them from behind with their weapons to get them to run in a panic instead of allowing people to walk away. My old man was a cop, I typically defend cops, but this was the worst event management I have ever seen. This isn't something I would have expected in Portugal and hopefully it will change how they act with the fans in these events in the future. I did like hearing LFV right away saying they SLB will financially pay for all the repairs to any damage done in Guimaraes. However the police need a better look at how to manage just a large crowd next time. To finish off on a positive. We're back to back champions, we've got some very exciting youth prospects on the bench and I can't see us losing much of this championship team in the office season, meaning that we should have a real shot at fighting for 3 back to back tiles.